Here are our picks, from the superslim Razer Blade to a red-hot AMD rig, many wild accessories, and even a Commodore 64! Who says PC gaming is dead? Sure, most of the PC-gaming offerings to be found at E3 2013 consist of cross-platform console ports, and yeah, that kind of bums me out, too. Don’t let that get you down, though: E3 has never exactly been a bastion of PC gaming, but if you look beyond the sea of software, you’ll find that the computer cadre is indeed well represented at the L.A. Convention Center. All of the nifty PC peripherals and hardware products announced over the past few months are here at E3, just begging to be poked, prodded, and fondled lovingly. Hands down, Nvidia’s big green booth is the most happening spot for PC hardware. The company announced a flood of new products lately, and everything is playable on the show floor. 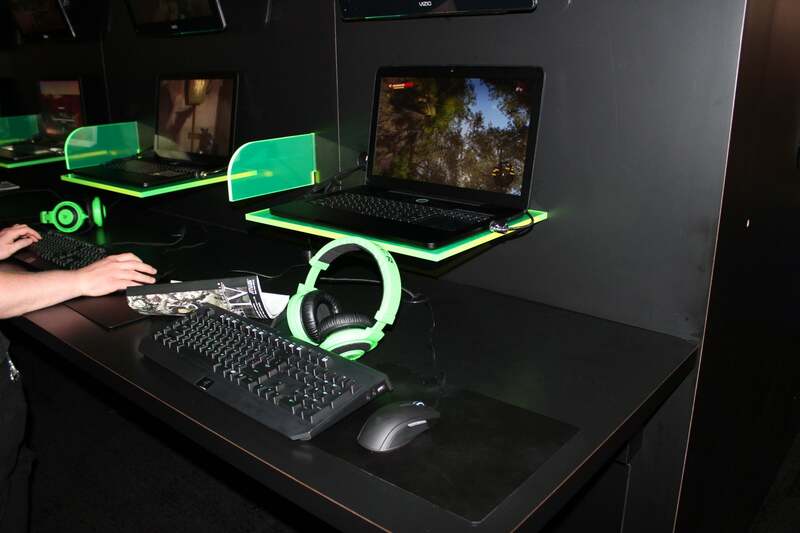 First up is a laptop streaming games using Nvidia’s GeForce GRID technology. …like this under-the-table GeekBox rig powered by a high-end GeForce 700 series GPU. Several traditional-desktop setups are up and running too, including some with suh-weet 30-inch monitors. Even the $100 Ouya console put in an appearance in Nvidia’s booth. 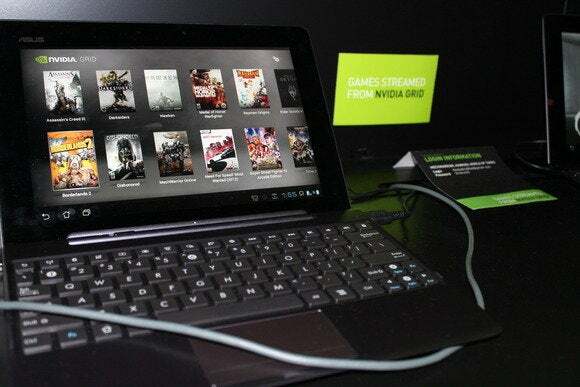 It may run Android instead of Windows, but it is powered by Nvidia’s Tegra 3 processor. Hey, it’s the Commodore 64! This blast from the past was sitting pretty at the Videogame History Museum in the South Hall, surrounded by similarly aged consoles, ancient games, and a bunch of honest-to-goodness arcade-cabinet classics like Mortal Kombat. PDP has been busy showing off its $180 Afterglow Prismatic Wireless Dolby 5.1 Headset at E3, complete with—you guessed it—Dolby 5.1 surround support and the series’ trademark glowy, translucent cans. These puppies will work with the Xbox 360, the PlayStation 3, and (eventually) the PlayStation 4, as well as proper PCs. Carl Zeiss cinemizer OLED gaming glasses work with any device that has an HDMI or AV-out port—meaning all major PC operating systems, consoles, and most mobile devices. Not only are they pretty rad-looking, but they also function as a poor man’s Oculus Rift—sort of like a display mixed with a mouse. If you move your head, the in-game view moves with it. The crowd loved it. Yes, you read that right. It’s the Stinky Footboard. Who needs a mouse when you have this Kickstarter-backed peripheral? Um, you do. 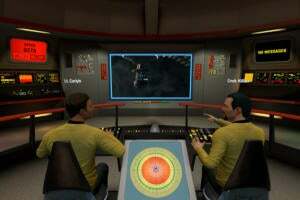 This peripheral is designed to work with a keyboard and mouse, giving you four extra gameplay “buttons” that you activate by rocking your foot back and forth or left to right. 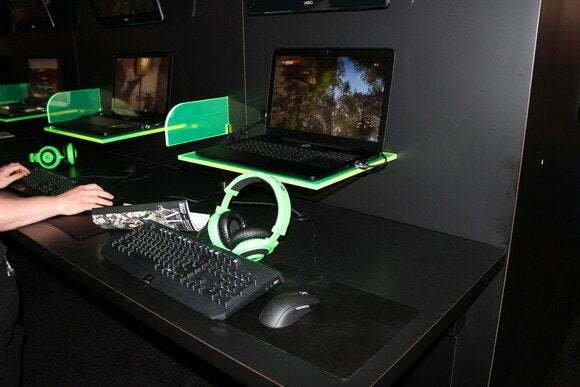 Yup, all those nifty refreshed Alienware laptops that recently swung by the PCWorld offices are on display at E3, rocking a killer new look and the latest Nvidia GPUs. Slim form factor? Ha! 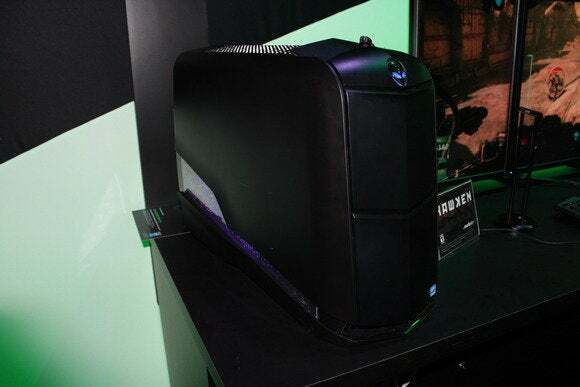 Alienware’s Aurora desktop laughs at that idea. I’ve seen cars smaller than this rig’s elongated chassis. This custom rig at AMD’s booth took the distinctive Thermaltake Level 10 GT case and brightened it up with a just-as-eye-catching coat of hot red paint. The color scheme continues inside, with a Radeon HD graphics card and one of AMD’s FX processors. Speaking of which, AMD broke the 5GHz clock-speed barrier with a new FX processor announced at the show. Razer’s new 14-inch Blade gaming laptop is on display in the West Hall, both behind glass and as part of a playable setup. 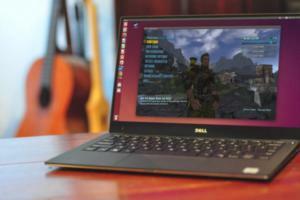 Yeah, it’s as thin and light as it looks—but it can also play Metro: Last Light like a champ on high settings. 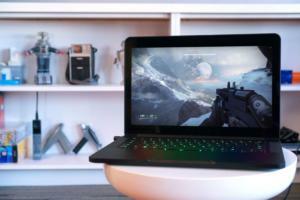 The older, bigger, but still pretty slim Razer Blade Pro is also making an appearance at E3, boasting the touchscreen Switchblade UI and a whole host of Razer peripherals. The Razer Edge tablet is also on hand. The Cyborg R.A.T. 7 gaming mouse is looking pretty (adjustable) over at the Mad Catz booth. The company is showing off the mouse in several different colors, but I’m partial to the red version. Right next to the gaming rigs sporting the R.A.T. 7 mice stands a rack of Tritton Kunai and Mad Catz FREQ headsets. The Tritton Kunai line was announced just prior to E3. What, the R.A.T. 7 doesn’t have enough customizability for you? 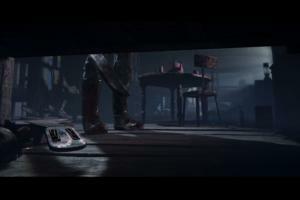 E3 attendees can get their grubby paws on Mad Catz’s new, modular S.T.R.I.K.E. 3 keyboard, which is basically a plastic-built, touchscreen-hub-lacking version of the company’s full-fledged S.T.R.I.K.E. 7 keyboard. Pricing hasn’t been announced, but look for the S.T.R.I.K.E. 3 to be considerably cheaper than its $300 cousin with the aluminum chassis. 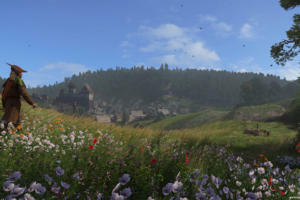 Though Computex happens across the Pacific Ocean from E3, it’s a great show for PC lovers to keep an eye on. During the annual trade show in Taiwan, PC makers such as Acer and Asus keep it real by trotting out their latest laptops, tablets, and hybrids—many of which will be available soon. 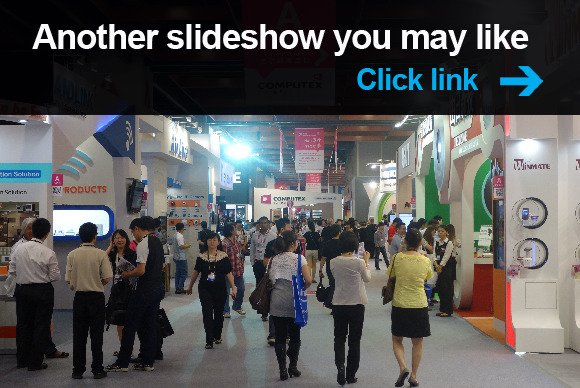 Check out our roundup of our favorite gadgets from Computex 2013.